Join NPA. Go to Convention. Save $200! Join NPA and Save BIG on the #1 Convention for Parking Pros! 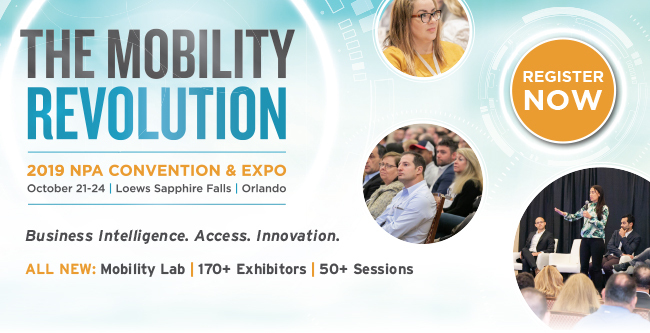 The 2019 NPA Convention & Expo is the parking event of the year and will be held October 21-24 in Orlando, Florida. At NPA's Annual Convention & Expo, parking professionals gather to discuss current trends, best practices and learn firsthand what industry leaders are doing to remain competitive and grow their business. NPA is the leading parking industry association for in-depth industry research, advocacy, business best practices and lifelong learning. As an NPA member, you'll build key relationships, increase your performance and advance your career. We're here to help you! Choose the membership right for you. Join, Go & Save in Two Easy Steps! You’re done and have saved $200! See you at the opening reception at the 2019 NPA Convention! Eligibility details: This membership promotion offer is not available to current members, or lapsed members who have terminated their NPA membership in the past 36 months.